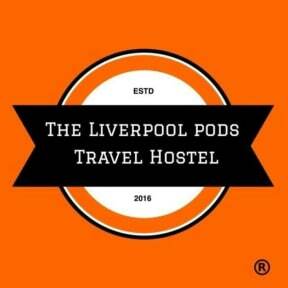 The Liverpool Pod i Liverpool, England : Boka nu! Your booking can be cancelled for free, if you cancel your booking 48 hours before arrival your deposit will be refunded to your payment card. If you cancel with 48 hours, your deposit will not be refunded and the total of the first nights accommodation will be charged to your payment card. Check in 15.00 to 23.00 ( unless pre-arrangements have been authorised ). Payment upon arrival be cash, debit/credit cards. The Liverpool Pod may pre-authorise your card before arrival. 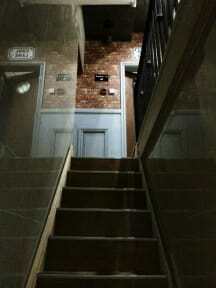 -Strictly no smoking within the building, any guests found smoking may be expected to pay a fee. All private rooms maybe subject to a £50.00 security pre-authorisation per room upon check in. Hello, we wish you a warm welcome to the all new Liverpool Pod, we are the new way to simply get your head down for a great nights sleep! We provide excellent accommodation at affordable prices and situated within the heart of Liverpool, we have free WiFi, a great atmosphere, and we will make your stay a home from home experience. All rooms have power showers and many more amenities, our friendly staff are always on hand to help guests throughout there stay. You can sit and relax within the communal areas and talk to guests along with our staff. We are also a short distance From the city centre, where you can find all the clubs and bars that Liverpool has to offer and the site of the new Liverpool Echo Arena. We are also Just 30 minutes from John Lennon Airport. We are 2 minutes from The famous Anfield Stadium the home of Liverpool Football Club and Everton Football club is only 250 yards away from the Hostel front door. We are 11 minutes from the Irish Sea Terminal. Our hostel is Conveniently located on a main road with an abundance of shops, McDonalds - KFC, Subway, Noodle bars many more. Our dormitories are complemented with on suite facilities and rooms having Pod Beds, with a evening Light, a Single mains sockets and also the added luxury of privacy curtains, as per photographs. The accommodation consists of private double bed rooms - family rooms - single rooms and Pod dormitories, Both male/female and shared, with 4 or 6 Beds per room. The rooms are mostly complemented with en suite bathroom facilities. Towel hire available at £2 per towel with an additional £5 refundable deposit. Lockers are £1.00 for the duration of stay, with a £5 refundable deposit. We also have free of charge, washing machines, if you need to wash items. Please note The Pod has an age restriction of 18 - 38 years old. We do offer private accommodation for guests outside of this age bracket. Guests are not permitted to smoke within the building.